Are you wondering why there’s a photo of Spike Lee right here? No worries – I’ll get to that in a second. Last month we covered the topic of nonprofits having difficulties with hiring due to reputational issues. Now we’re going to tackle the nonprofit’s point of view when considering a candidate with a questionable reputation. I can’t tell you how many times I’ve sent a promising candidate to one of my clients, only to have my client say they wouldn’t be pursuing the candidate due to reputation issues. No matter what I think of the candidate, it’s over as soon as the client mentions the R word. Accepting a job and then backing out at the last minute or quitting shortly after starting – Yikes. There’s just no good way around this one. Nonprofits talk; and if you jumped ship right after the boat left port, the others will hear about it. Trash-talking a former employer – This one happens a lot; and as you can imagine, prospective employers don’t care for it. Dishonesty of any kind – Whether it’s a lie on a résumé or a fib about an accomplishment, you’re as good as done if a hiring manager can’t trust you. Being wishy-washy or less than solidly committed to free-market principles – On more than one occasion I’ve had clients say they weren’t interested because a candidate worked for a member of Congress who wasn’t truly free-market oriented or because the candidate espoused ideas in a policy piece or blog that were antithetical to free-market thinking. Most of my clients have dedicated their careers to advancing liberty; they aren’t particularly interested in someone who can take it or leave it, depending on expedience. Erratic behavior – Candidates who display unpredictable, histrionic, or irrational behavior in a work setting or during the interview process make quick work of scaring hiring managers away. So, how will you know if you need a little reputation management? Unfortunately, you may not. Most organizations don’t see the upside in sharing the knowledge that a candidate’s reputation has preceded him. And after some of the histrionics I’ve seen from candidates, I can hardly blame them! Having strong references who can attest to your character or work product may be one way to counteract reputational problems. 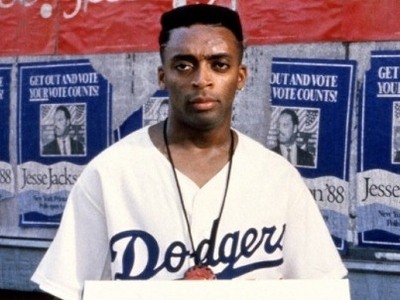 However, my best advice is just to do from the start what Spike Lee told us in the late 80’s: do the right thing. If you do, your reputation should be just fine.